Description: Demonstration on morning of Vernon Dahmer's funeral, January 15, 1966, Hattiesburg (Miss.). Marchers fill intersection of Batson and Market streets due to halt of march following arrest of participant. 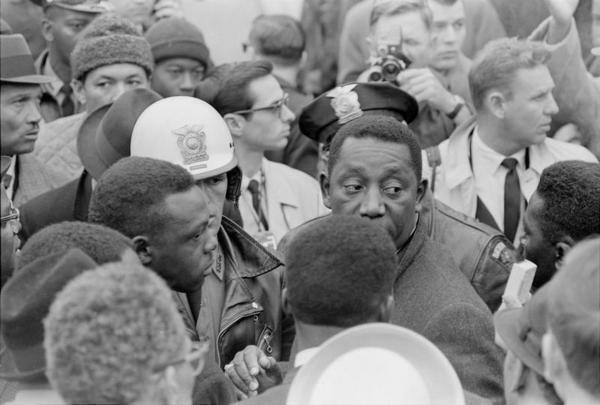 Charles Evers, state NAACP field secretary, shown at center of crowd, right of police officer.